Carbs have unfairly become synonymous with weight gain. After all, ice cream and cauliflower are both carbohydrates. One is healthy; the other, not so much. A low-carbohydrate diet is usually moderate to high in fat and/or protein. How low you need to go with carbohydrates to get weight loss results depends. I’ve had patients go as high as 100 grams a day (still pretty low-carb compared with regular diets) and lose weight. Others need to dip low: 20 or 30 grams. That still allows a good many gut-supporting plant foods including leafy and cruciferous veggies, low-sugar fruits, nuts, and seeds. Research shows that low-carb can help you lose weight and keep it off. 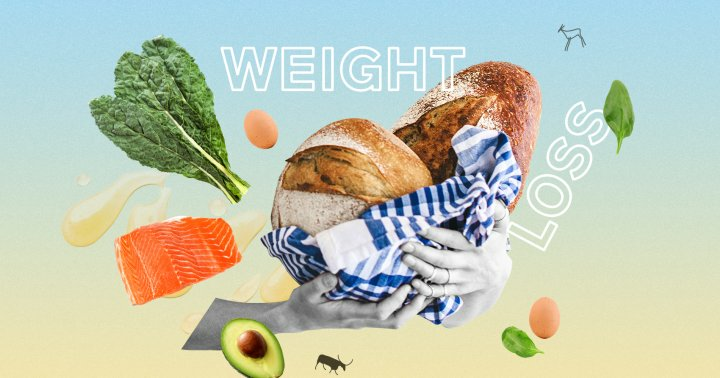 One review of 10 clinical trials (that spanned from three to 24 months) found the Atkins diet could create “clinically meaningful short-term weight loss.” Six of the eight long-term reviews also found this diet effective for long-term weight loss. In fact, of all the current popular diets in one systematic review, the Atkins diet had the most evidence to create short-term and long-term weight loss. I wrote extensively about low-carb diets in this blog. Pros: Low-sugar intake means you keep your blood sugar and insulin levels steady, supporting weight loss and steady energy. While somewhat restrictive, patients overall find they feel full and satisfied eating healthy low-carb foods. Cons: Overconsuming meat and other animal foods neglects gut-supporting plant foods. You want to work in some quality carbs. Food sensitivities like gluten can also slip into low-carb plans. Some Atkins packaged foods, for instance, contain soy, dairy, artificial sweeteners, and other problematic ingredients.